IT'S NATIONAL TEQUILA DAY! MARGARITA UP, QUERIDOS! Let's break out the tequila and hit it with some blueberries, shall we? Rim glass with a 50/50 sugar and salt combination. Muddle the lime juice, blueberry simple syrup, mint leaves and fresh blueberries in the bottom of a cocktail shaker. Add plain ice cubes, pour in the tequila and blue curacao and shake until chilled. Pour into the chilled glass, garnish and serve. Bring the blueberries, sugar and water to a boil then reduce the heat to simmer and cook until the liquid has reduced by half or to a syrup consistency. Strain into your clean glass jar and refrigerate for up to several months. Not only is this Blueberry Simple Syrup great in cocktails, it's perfect for pancakes or poured over ice cream or pound cake. 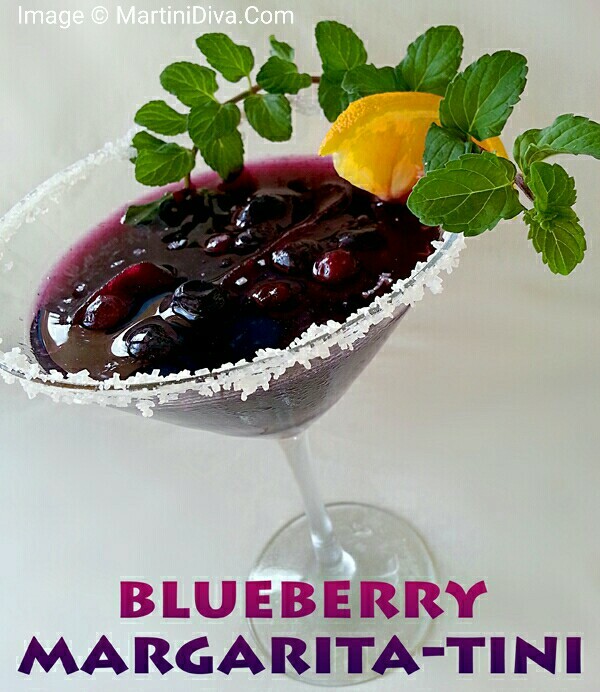 Purchase the Blueberry Margarita Recipe Here.